Appointments can be made by calling our reception on 020 7247 7070 between the hours 8:45am and 6.30pm on Monday, Tuesday, Wednesday and Thursday and on Friday the telephone lines are open from 8:45am to 12:45pm and 2:30pm to 6:30pm. Alternatively you can book an appointment. Please help us to help you by always cancelling appointments when you can’t attend! Our cancellation line is 020 7247 7070. Please put it in your mobile phone! We can always use the appointment for someone else. 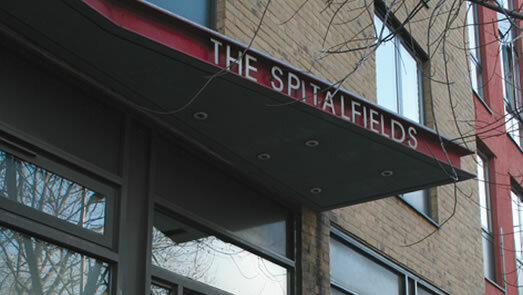 We are pleased to announce the Spitalfields Practice are now an accredited teaching practice for medical students. Please download our How to Make a Complaint Information Leaflet. The surgery will be closed for the Bank Holiday Weekend on Friday 19th April and Monday 22nd April. The Spitalfields Practice sends you texts to remind you of your appointments. We may also send occasional texts inviting you to attend participation group meetings, Open Days and Health Fairs and to invite you to contact us for an appointment when we run Public Health campaigns (for example cervical screening, smoking cessation and sexual health screening). We feel this is an important part of our job looking after your health, and we take our duty of confidentiality to manage your information very seriously. We do not and never will share or use your contact details for purposes other than for the benefit of your health. However, if you still feel uncomfortable allowing us to contact you for health purposes, please contact our IT & Administration Manager or Practice Manager and we will make sure your wishes are respected. Please download our Practice Leaflet. Our patients have access to pre-booked weekend and evening appointments with a GP, Nurse and Pharmacist at one of our neighbouring practices. Our list is open for new patients. Contact our reception on 020 7247 7070 for details.